From Fern Wiens: Town of Vanderhoof established in 1914. 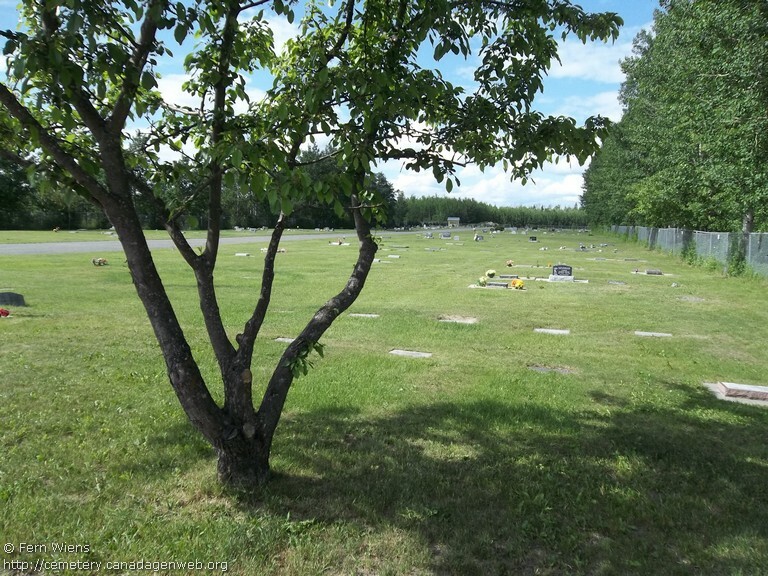 The Vanderhoof Cemetery was created in 1919. Not affiliated with any church. There is no official signage at the entry but the cemetery has a very helpful legend to guide visitors. 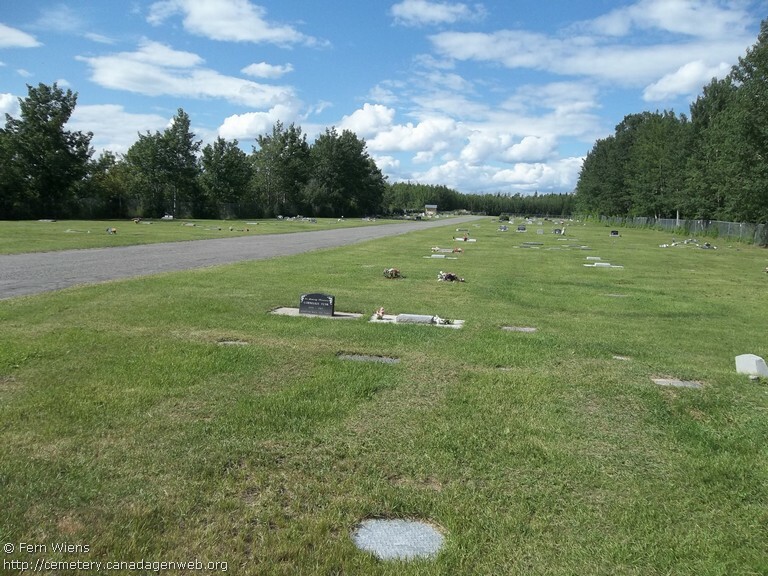 This is a Municipal Cemetery so it is well taken care of. Notable burials: Rich P. Hobson Jr & his wife Gloria McIntosh. Rich Hobson was the writer of Grass beyond the Mountains, Rancher Takes a Wife and Nothing Too Good for a Cowboy. These were books about his life, ranching in the Vanderhoof area. His books and life were the inspiration for the CBC series Nothing Too Good for a Cowboy. 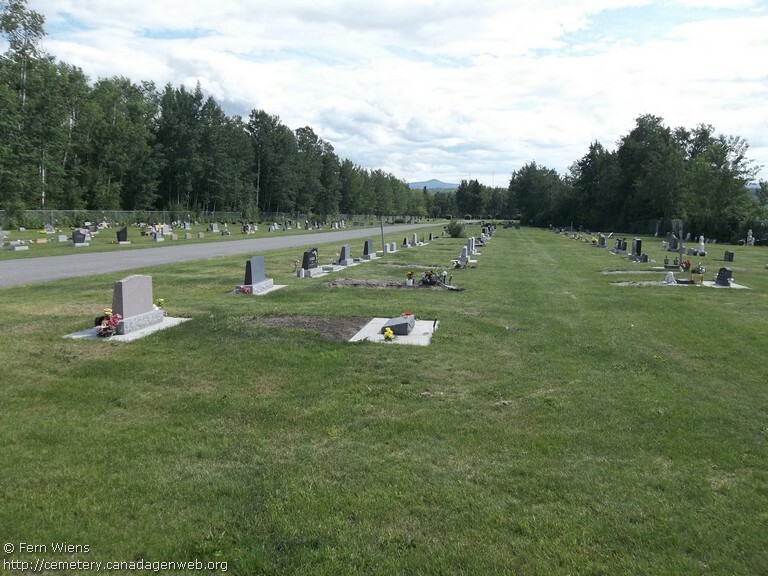 Information on those without gravemarkers gathered from old & current newspapers (Omenica Express, Nechako Chronicle, Vanderhoof Herald), Ancestry.ca, Family & friends of deceased.